Filed to: whyyyyy?Filed to: whyyyyy? I feel like a lot of tie-in novels today aren’t nearly as balls-to-the-wall crazy as they used to be. Corporations have an unbreakably tight grip on all their properties and everything associated with a successful property is carefully planned out and has the edges filed down. For example, the latest Young Adult X-Files books—prequels starring teen Mulder and Scully—are straightforward but well done. When I was young, however, the kid-targeted X-Files tie-in books were completely insane. 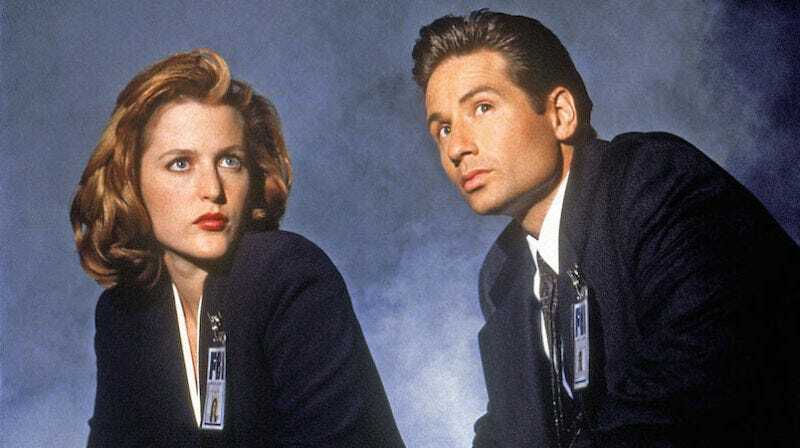 There were 11 X-Files books written in the ‘90s, and they managed to pick some of the most horrific, traumatizing episodes from the entire show to novelize. For instance, the book I remember the clearest was the novelization of “Squeeze.” A monster of the week episode, “Squeeze” featured Doug Hutchison as Eugene Victor Tooms, a being that had lived without aging for decades by eating the livers of people he killed. Also, he has the ability to stretch and squeeze himself into impossible spaces. Something was in the house—and it was rushing straight at him. It looked like a man, but it couldn’t be. Whoever—or whatever—it was had eyes that blazed red fire. Werner never even had the chance to scream. Moving quickly, his attacker stuffed a gag into his mouth. Terrified, Werner tried to fight back. His struggles were useless. His attacker slammed him to the floor with unbelievable force. Werner’s head hit hard. The fight was over. Thomas Werner was unconscious when Eugene Tooms took what he came for. Tooms listened to the guard’s footsteps dying away. 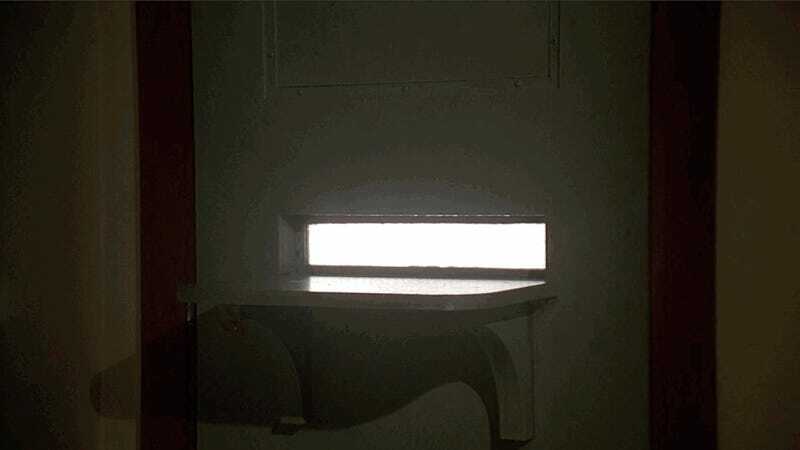 His eyes glowed red as he gazed at the light pouring through the narrow slot. A smile crossed Tooms’ face. It was a very narrow opening. Maybe only six inches high and nine inches wide. But that really wasn’t a problem if you knew how to squeeze. . . .
That’s how it ends. Nighty-night, past child me. Don’t let the liver-eating monster who can break in any home bite! This ending remains imprinted on my memory even though I’ve seen the episode a lot more times than I’ve read it. The constant switching between his face and the hole in the door is almost funny. The way it’s described in the kid’s book? Much more horrifying. I think it’s the word “squeeze” that does it. Another concession these novels made to their young readers was changing the episode titles into something more kid-friendly. The pilot became X Marks the Spot, a jaunty little pun that in no way covers the fact that it’s about a group of people losing time and remembering being experimented on. “Fearful Symmetry,” which as an episode took its name from William Blake’s poem “The Tyger,” became Tiger, Tiger! “Blood” became Fear. And, my absolute favorite, “War of the Coprophages” became Die Bug, Die! At least here, the new title does capture the humor of the original episode. Maybe it was even on purpose. Again, the more child-friendly titles are weirdly creepier than the original ones. Remember, these were the book for 8- to 12-year-olds, labeled “middle grade.” There were more proper Young Adult books for young teens which also took the “let’s write down everything that happened in the episode regardless of whether it’s appropriate” track. They included “Our Town,” the episode about cannibalism and a chicken processing plant. The “Oubliette” episode was retitled Empathy, a perfect description for a story about teenage girls being tortured and kidnapped, which is itself a perfect story to adapt for teenagers. Who picked these episodes? WHY?! It’s so baffling on so many levels. I wish I could have been in the mind of the person who saw the popularity of the X-Files and went: yes, let’s do straight-up novelized adaptations of show episodes for children. Again, why? What were they thinking? Who thought these things were okay? Why did they ever exist?! And why aren’t they in print anymore?